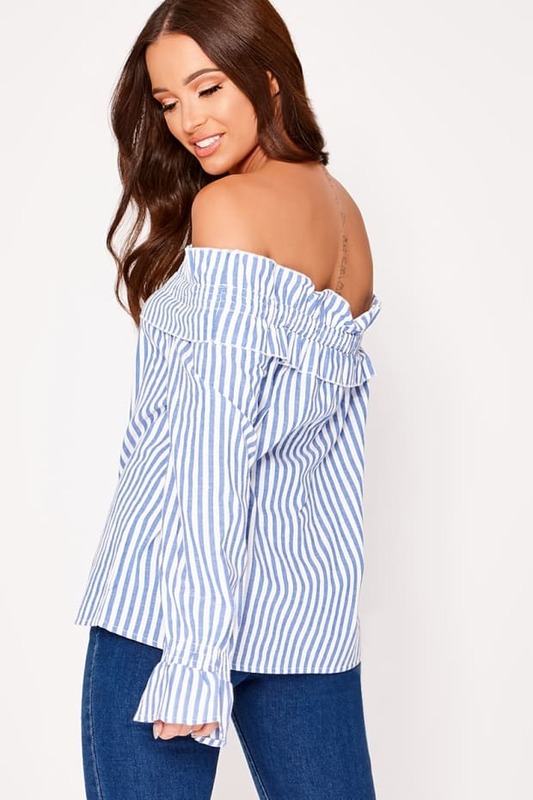 Make sure your new season wardrobe is on fleek with this pretty blue top! 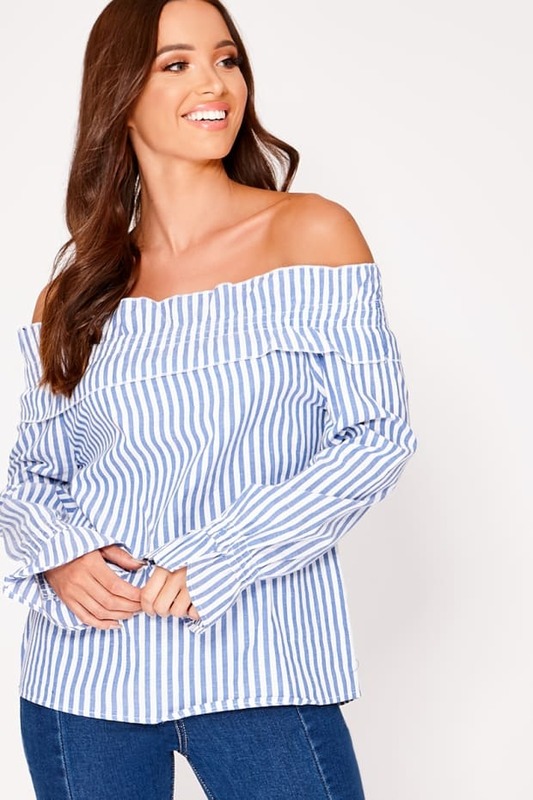 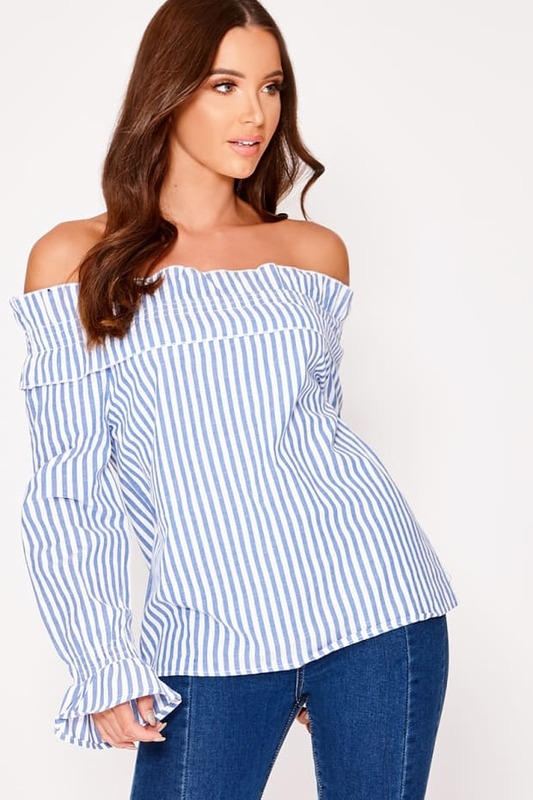 In this seasons favourite bardot design featuring cool shirring detail and long frill sleeves, we're totally obsessed with this one! 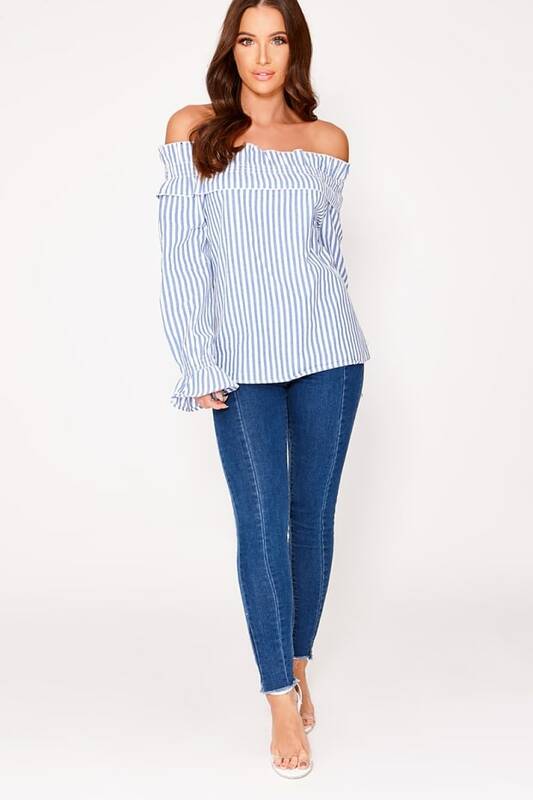 Go for skinny jeans and heels to complete the look.